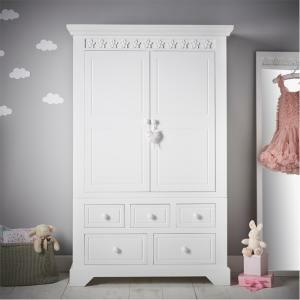 A beautiful childrens wardrobe for the little girl with just too many clothes to know what to do with. 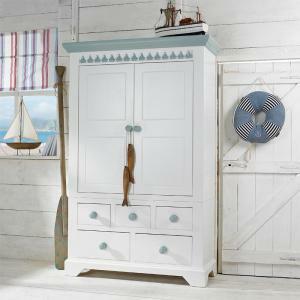 Full width hanging rail and removable shelf opt.. 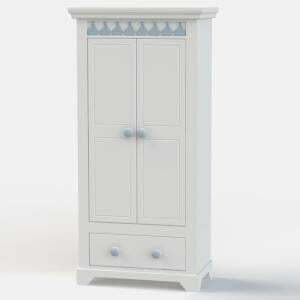 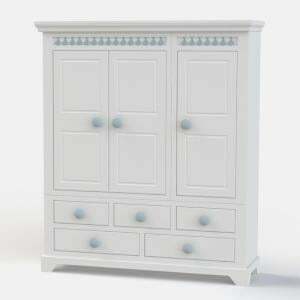 This beautiful girls triple wardrobe is perfect for the youngster with just too many fabulous clothes. 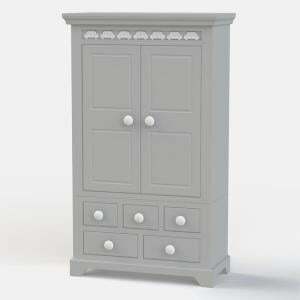 Providing a combination of hanging and drawer s.. 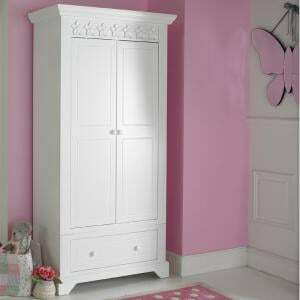 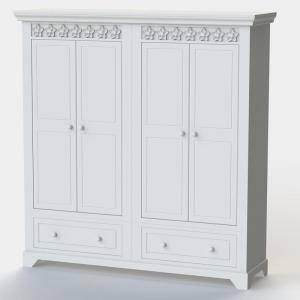 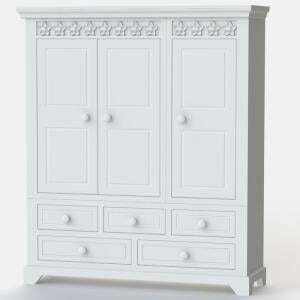 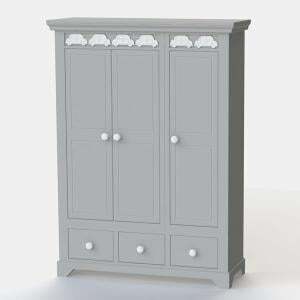 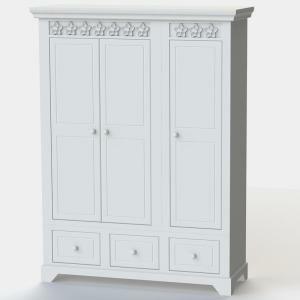 The largest of the girls wardrobes we make from our stunning Daisy Brambles Collection. 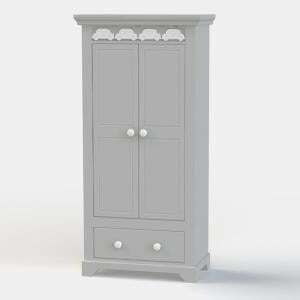 A full sized double width 4 door wardrobe featuring our tradem..
A substantial triple childrens wardrobe for the Prince (or Pirate) with just too many clothes. 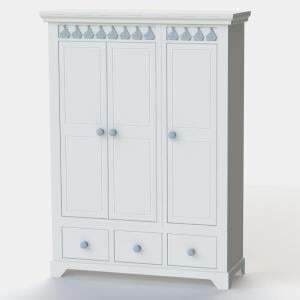 Made by master craftsmen in our own factory here in the..